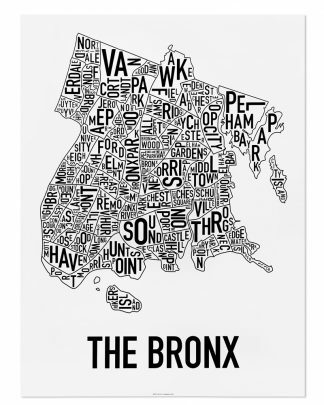 Ork Posters Bronx Neighborhood Map posters and prints are a great way to hang a piece of artwork showing your pride for the Bronx in your home. And we know there’s a lot of Bronx pride out there. 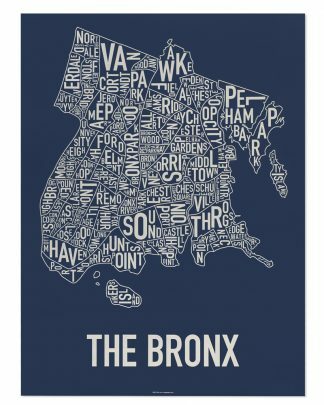 The Bronx, New York map is designed in our unique typographic modern map style. Despite a few “similar” looking maps out there, Ork Posters is the original designer of this style of neighborhood map.